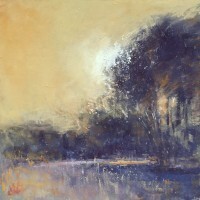 Lamya Deeb is a nationally recognized, award-winning plein air landscape artist working in the mediums of oil and pastel. Her aim is to capture the unique essence and beauty of a particular moment and place, and to share the feeling of that experience with the viewer. Born in the U.S., Lamya grew up in Beirut, Lebanon, witnessing that country's civil war during her teenage years. Her family's extensive travels in Europe and the Middle East brought her into contact with the great art and scenic beauty of those regions. These experiences have had a profound impact on Lamya's life and her work. With a BFA in Painting from Colorado State University, and a working background in illustration and design, Lamya began painting the landscape "en plein air" in 2006. 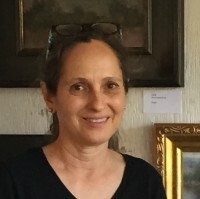 Since then, she has studied with prominent artists in the landscape genre, including Jake Gaedtke, Elizabeth Mowry, John Taft, Stephen Datz, Chuck Ceraso, Lorenzo Chavez and Marc Hanson. Lamya currently lives and paints in the Boulder-Longmont area of Colorado, and is an associate member of: Rocky Mountain Plein Air Painters, Plein Air Artists Colorado, Outdoor Painters Society, Pastel Society of Colorado, Laguna Plein Air Painters Association, Plein Air Painters New Mexico, Oil Painters of America, and the American Impressionist Society. Her paintings can be found at Mary Williams Fine Arts in Boulder, CO and Osmosis Art Gallery in Niwot, CO.